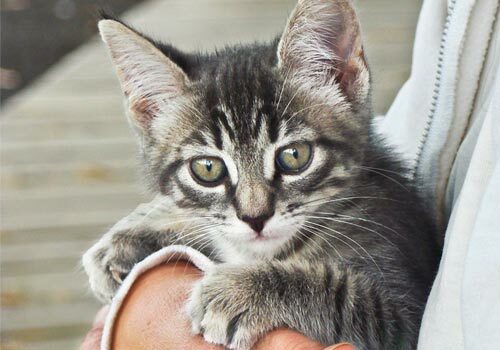 Get a handle on your pooch. 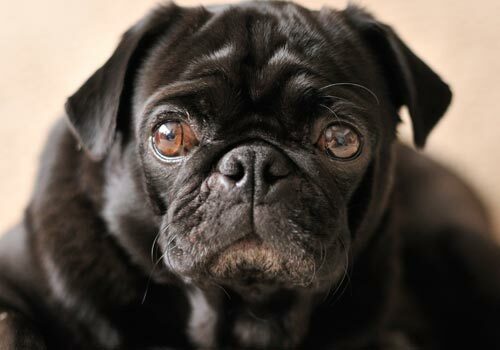 Bringing a small dog on an errand, car trip, or plane trip doesn’t have to feel limiting or challenging. 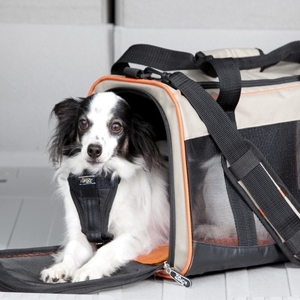 The Kurgo Wander Carrier™ fits dogs and cats up to 18 pounds and complies with most airline regulations for pet carriers. 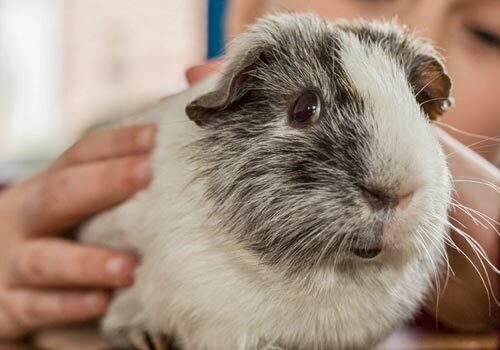 It has both top and side entry, making it easy to get even the most reluctant pet safely inside. The Kurgo Rover Booster Seat for dogs gives your pup his own comfortable car seat where he can see out the window and enjoy the ride. The stylish heather version of our award-winning booster seat gets Fido off your lap so he can’t interfere with your driving and cause an accident. In the front or in the back, your pup is just a safe reach away. Installs quickly and securely on either the front or back of a bucket seat. Metal supports for structural integrity, collapsible for easy storage. Get Lofty with Fido on your next driving adventure. This dog booster seat gets Fido off your lap where he could interfere with your driving and cause an accident, securing him in his own car seat where he can view the road ahead. In the front or in the back, your pup is just a safe reach away. 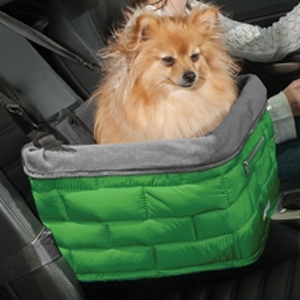 Give your pup his own comfortable car seat where he can see out the window and enjoy the ride. 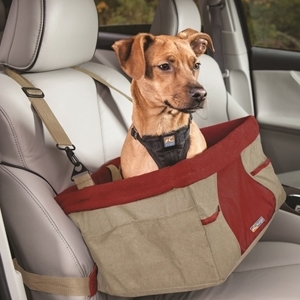 The stylish Heathered fabric version of our award-winning Booster Seat gets Fido off your lap so he can't interfere with your driving and cause an accident. In the front or in the back, your pup is just a safe reach away. A soft window seat for your pup, that isn’t your lap! 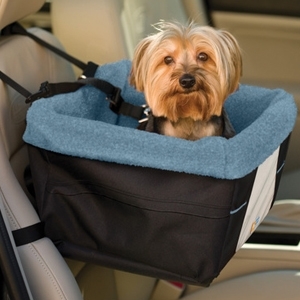 Give your pup his own comfortable car seat where he can see out the window and enjoy the ride. 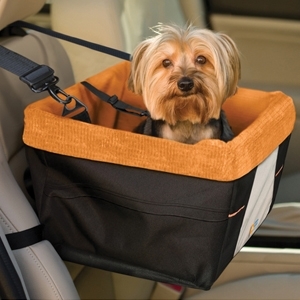 Our award-winning Skybox Booster Seat gets Fido off your lap where he could interfere with your driving and cause an accident. In the front or in the back, your pup is just a safe reach away. 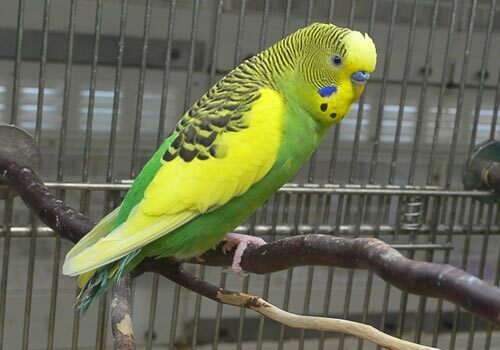 Give your smallest passenger the best seat in the car! 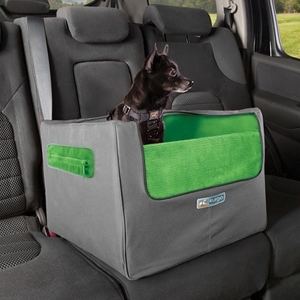 The Rear Skybox Booster seat is padded with low walls so it’s comfy, cozy, and gives just enough of a boost for short pups to peek into the front seat or see out the window. The design folds out in seconds and sits on the seat. Webbing along the back allows for secure placement with the integrated seat belt system. And, the tether secures your dog to the seat belt, keeping small dogs safe while on the road.